Yoga is an incredible form of exercise for seniors that incorporates relaxation and meditation. There are many different types of yoga, ranging from active flow yoga to a more gentle stretch class. The physical exercises in yoga increase flexibility and strengthen muscles, both of which relieve chronic pain. Yoga is also very helpful for relaxing at the end of a difficult day, as the classes are designed to be soothing, even when they are intense physically. Many seniors who used to run when they were younger struggle to find an exercise they love just as much. Walking is a good way to fill that void that’s much more gentle and easy on the body. Taking walks outside is a great way to clear your head, enjoy the beauty of nature around you, and burn calories in a way that isn’t too intense. If you have a dog, you can use their daily walks as a form of exercise as well. Spending time with an animal is incredibly soothing and great for your mental health, as well as your physical health. If you decide to incorporate walks into your routine, just be sure to get supportive walking shoes to keep your bones and muscles in good alignment. Maintaining strength is very important for seniors as they transition into retirement. Many seniors become more sedentary in their older age, which can increase chronic pain because the bones and muscles become weak. Resistance bands are something you can easily keep at home and use to improve strength and muscle articulation throughout your body. Resistance bands provide a bit of extra challenge when you’re doing physical therapy or pilates exercises, which naturally encourages the muscles to build up strength. Many seniors struggle with mental health challenges as they transition into retirement or a new form of senior housing, such as memory care homes. Understandably, being in a new environment can be very overwhelming and cause high levels of stress. One of the best ways to relieve this stress is by participating in creative hobbies and activities, such as drawing, playing music, writing, or even dancing. Most assisted living homes provide opportunities for seniors to explore these new activities in a safe and supportive environment. Participating in creative hobbies and pursuits gives you a way to express yourself, which is very beneficial for mental health. When you are mentally healthy, you are also much less likely to experience chronic pain that comes along with stress. It can be very frustrating when you want to exercise but are limited by mobility issues or a lack of stamina that comes with getting older. Many assisted living facilities now offer chair exercise classes to mitigate this problem. These classes provide exercises that work on cardio, strength, and flexibility, but using a chair for assistance. This means that even seniors with mobility issues can participate, and once you learn the exercises, you can do them on your own as well. Over time, having a dedicate exercise regimen will reduce the chronic pain you experience. 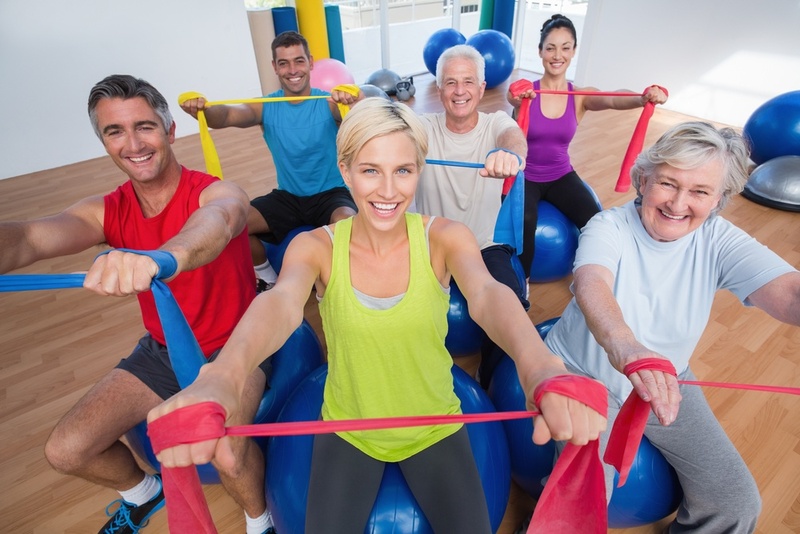 Taking exercise classes with other seniors is also a good way to socialize with your peers, which is very helpful for mental health. Another form of cardio exercise that many seniors enjoy is cycling. Cycling is a great choice for older adults because there isn’t any impact. You can choose to cycle outside, although it’s important to note that this can be somewhat dangerous if you are cycling on a crowded road. There are also cycling machines at the gym. You can choose between the upright and the recumbent bicycle, both of which are very effective. Many seniors prefer the recumbent bicycle, because it’s a bit easier on your back and feels more relaxing while still getting a good workout in. Regardless of what exercises you choose to do, staying active in general is the best way to reduce chronic pain. Your mental state and your chronic pain also go hand in hand. When you take steps to reduce your chronic pain, you’ll likely find yourself feeling more relaxed, and when you take time to relax your mind, you will probably find yourself in less pain as well. Be sure to talk to your doctor before starting any new exercise regimen to make sure you are doing it safely. Your doctor will be able to address any health concerns you have about exercising and mental health treatment, and they can answer any other senior living help questions you may have as well.